The Asian Real Estate Association of America Sacramento Chapter held their 10th Installation Gala at Wellspring Dim Sum & Chinese Restaurant this past Friday evening. The lively event, entitled “Crazy Rich Eating” included the installation of AREAA Sacramento Chapter’s Executive Officers and Board of Directors, a twelve course meal, karaoke, a photo booth, a prize auction, music, and dancing. Notable attendees included City Council Members Darren Suen and Stephanie Nguyen. Afterwards, AREAA Sacramento Chapter President Samantha Tov-Weissensee, Vice President and Secretary Malyna Phan, and 2nd Vice President and Community Outreach Chair Jasmin Nguyen led a majority of the night’s festivities. This included selling tickets for the prize auction and attempting to get attendees to sing karaoke. The tickets sold for the prize auction raised money to benefit the victims of the Camp Fire which devastated the town of Paradise. During the night, over $2000 was raised. A full twelve course Chinese meal was served. Some of the meal’s highlights included lobster, honey walnut shrimp, steamed chicken with ginger scallion sauce, and braised beef with vegetables. While the meal was being served a few brave AREAA members got up to sing karaoke, including Vice President Malyna Phan, who sang and impressive rendition of Colors of the Wind. Everyone in attendance seemed to enjoy the food and the festivities. Towards the end of the night, the deejay put on dance music and people migrated from the tables to the dance floor. The event, according to AREAA Sacramento Chapter President Samantha Tov-Weissensee, was completely sold out. With a sold out event, great food, lively entertainment, and the fact that over $2000 was also raised for Camp Fire victims, the 10 annual Installation Gala could definitely be considered a great success. The Asian Real Estate Association of America is non-profit “professional trade organization dedicated to promoting sustainable homeownership opportunities in Asian American communities by creating a powerful national voice for housing and real estate professionals that serve this dynamic market.” ** There are 39 chapters and 17,000 members across the United States and Canada. AREAA is the largest Asian organization in North America. AREAA Members help to advocate for policies that grow and improve homeownership within the AAPI community. In addition, they often participate in community service events to benefit the local Asian Pacific Islander community. Free education courses are offered to members. Plus, members have the benefit of being able to come together and learn from each other’s experiences. If you are interested in joining Sacramento Chapter of AREAA or would like more information, you can contact them at sacramento.areaa@gmail.com. Author: Dr. Jacqueline "Jax" CheungDr. 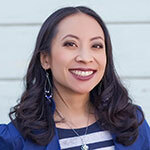 Jacqueline "Jax" Cheung, DrPH, MBA, is the Editor-In-Chief of Elk Grove Tribune. Jax is also the owner of the awarding winning Jax Chronicles Blog & Adoption Ministry. She enjoys freelancing for Sacramento4Kids and many other publications. She was voted Sacramento Area A-List Best Local Blogger 2014, 2015, 2017 & 2018 and Best of Elk Grove Best Blogger 2016 & 2017. In 2019 Jax was recognized for Outstanding Service & Dedication to the City of Elk Grove and also received an Award of Recognition from the California State Senate. Jax lives in Elk Grove with her husband and 2 daughters. To follow Jax's journey please like her Jax Chronicles Facebook, follow her Instagram @jaxchronicles, follow her Twitter @jaxchronicles, or check out Jax Chronicles Blog & Adoption ministry.